Another new social media platform! 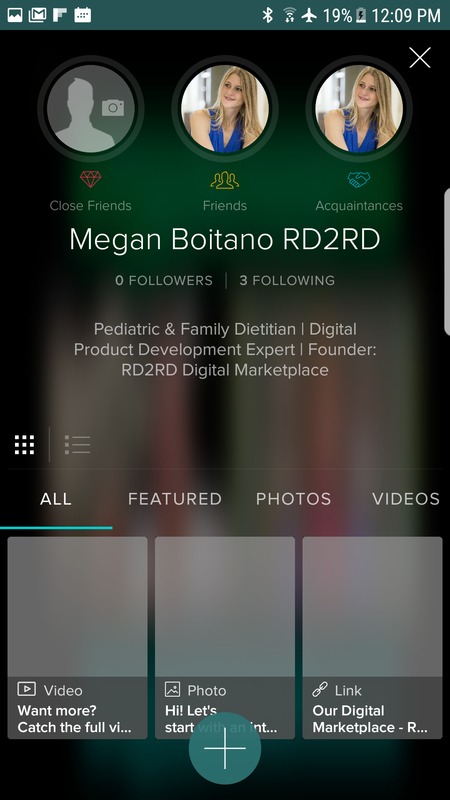 Vero is dubbed “true social” and is free from advertising, an algorithm and offers a chronological format. After taking the platform for a test drive, I have a few reactions to share. First, it certainly doesn’t look and feel like Facebook, Instagram or Twitter. While it does feature a traditional scrolling feed, your content is also organized in collections. There are suggested products, featured users and editor’s picks when you open the search area. This article goes into more detail about what exactly Vero is, but the statement “as a subscription-based service, our users are our customers, not the product we sell to advertisers” gives a interesting perspective about this newcomer. In each of the collections, there are items you’ve shared as well as those shared with you. When you add a new post, you choose a collection (photo, video, link, book, movie, etc). From your home screen you can view your collections. Just to give it a full test run, I posted a photo, link and video to get a feel for how the process works and how content will be organized. Additionally, I made and received connection requests. 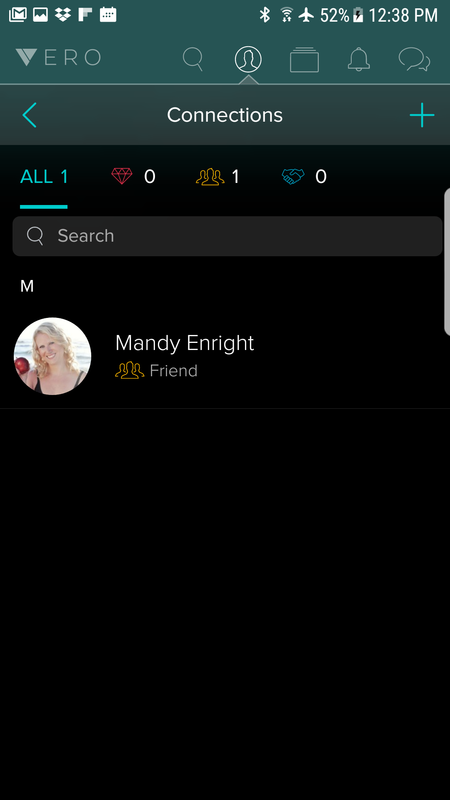 When making connections on Vero, you can choose if the person is a close friend, friend or acquaintance. Note in the screenshots below, there is an area for both connections and followers. This allows you to separate friends AND followers. Within connections, you have further ability with the groups previously mentioned. Each new post asks you to specify if the content should be private, seen by just friends or acquaintances. Note in the image below that this content is view able to followers (the binoculars). However, after posting it, I wasn’t possible to change the audience. You can edit the post’s content but not audience (at least I couldn’t figure out how). 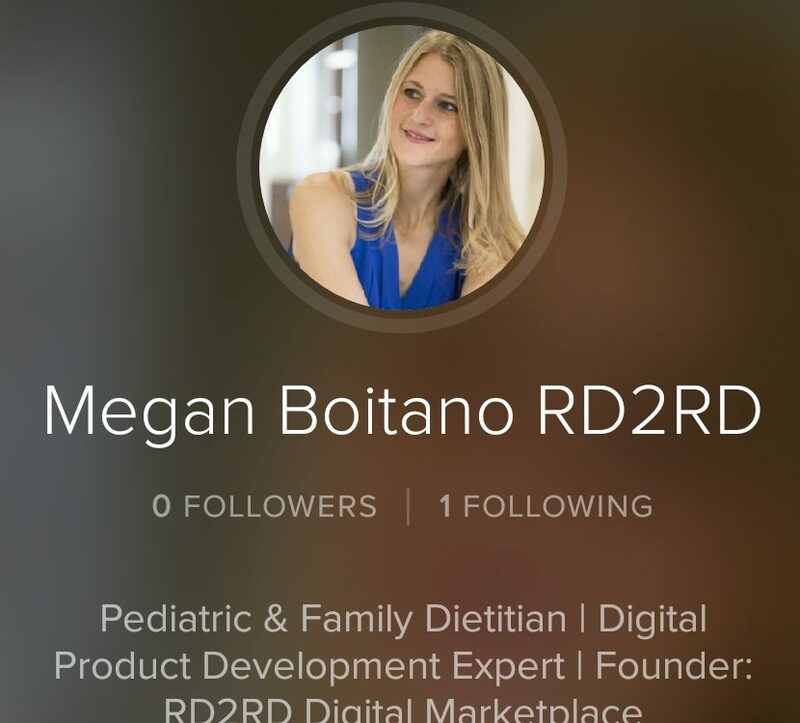 As previously mentioned, the platform also allows followers. Followers are treated differently than your connections. You can choose to follow someone without making them a friend or acquaintance. In settings you can specify if you want to allow followers. 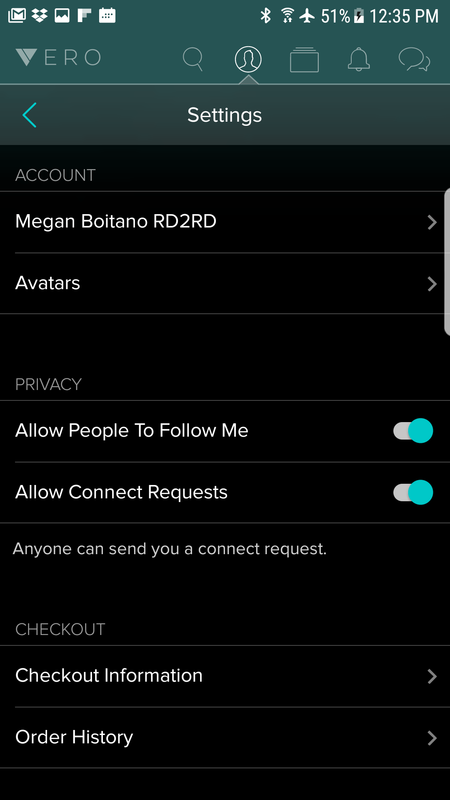 Another interesting feature of Vero is that you can choose which collections you want to see from each connection. This means that if you only want to see videos/photos and not links from a specific connection, you can. This gives you control over your feed and the content you see. The different categories of friends and followers feature allows you to get very specific about who can see your content and what content shows up on your feed. Remember that when you add a post, you can also make the content viewable to followers (the binoculars). My first reaction to this platform is positive. As an RD business owner, one of the biggest struggles I have is managing social media and keeping my private life, private. 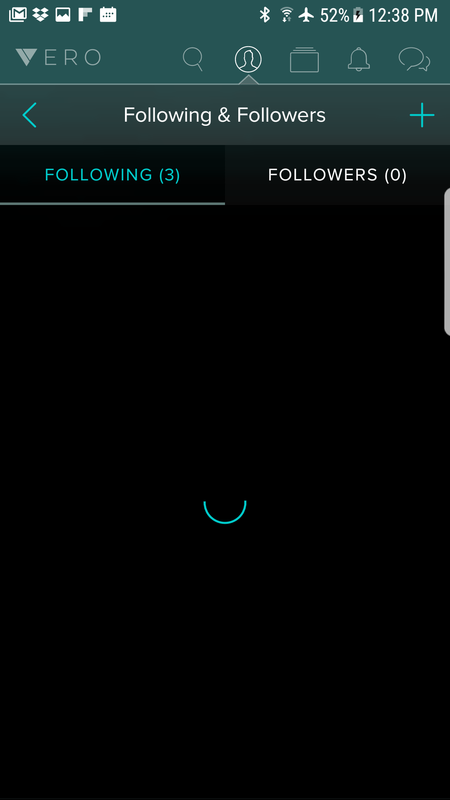 Vero features an easy yet powerful way to control my content audience and also allows me to share business-related content with followers from ONE account. 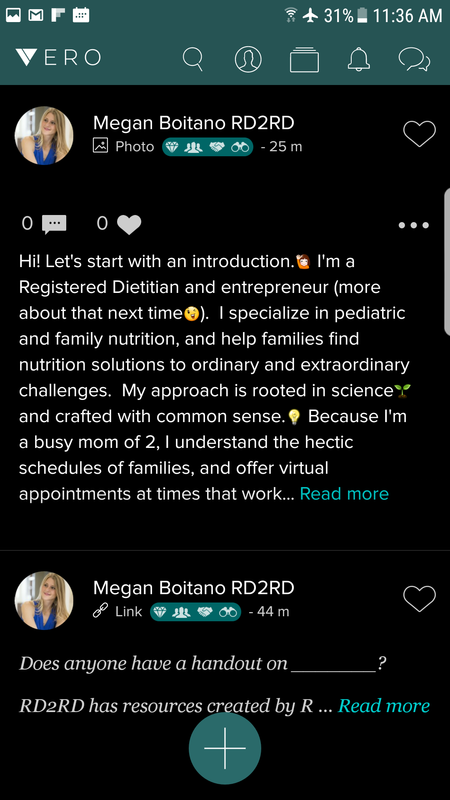 Will Vero be the Next Big Thing? 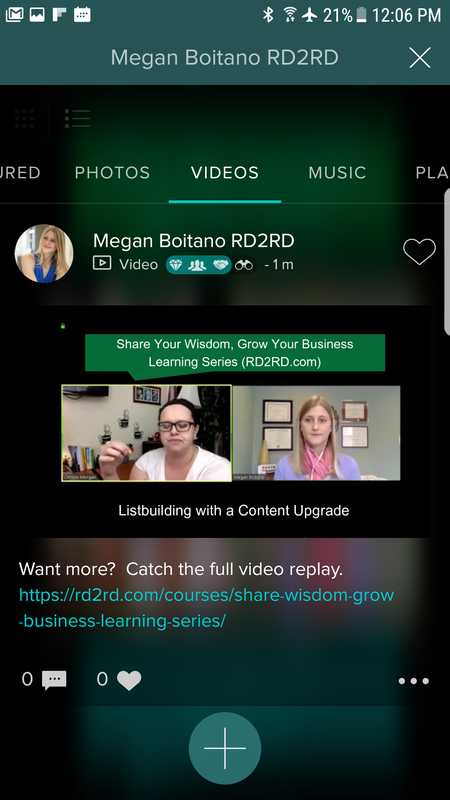 Vero puts you in complete control over the content on your feed and how/if the content you share is seen by others. Their statement “our users are our customers, not the product we sell to advertisers” seems to be the mission with which they developed their platform. It is easy to connect and categorize connections (close friend vs. friend vs acquaintance). Further, you can allow followers that don’t fall into any of these categories. When making a post, it is easy to specify where it should be displayed and to control the specific content from connections that you see. 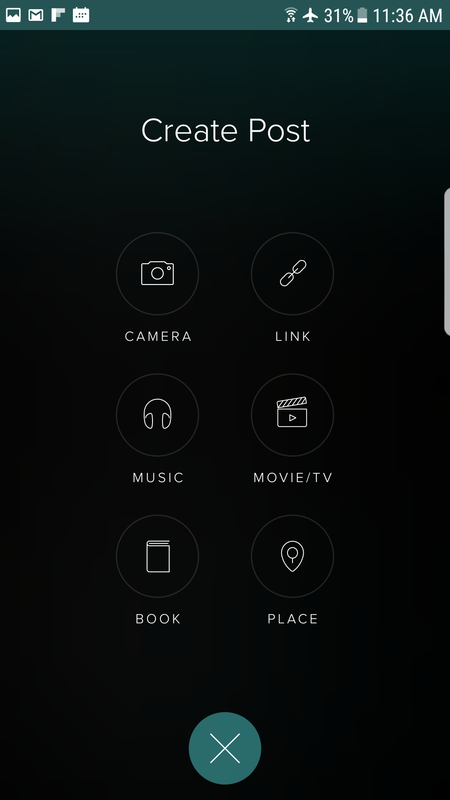 What do you think of Vero? NOTE: This is a developing article as new details and user feedback becomes available.